Located in Miami Beach, and just north of South Beach, Eden Roc Miami Beach Resort is a throwback to the golden age of Miami Beach. A Morris Lapidus-designed landmark hotel, the resort has a retro feel with a contemporary design. 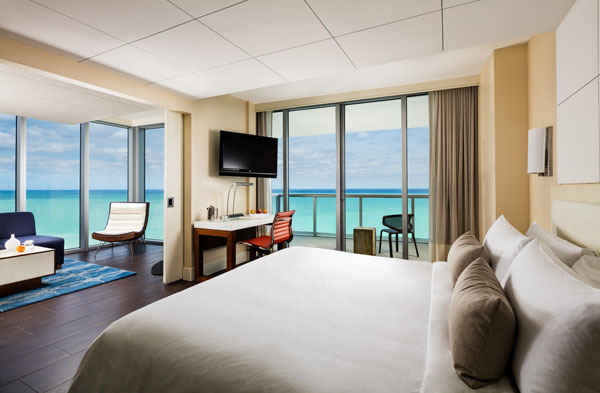 Eden Roc offers a relaxing stay for anybody looking to enjoy all that Miami has to offer. Located directly next to its flashier neighbor, the Fontainebleau, Eden Roc has three pools (one adult-only), 418 guest rooms in two towers with luxurious amenities, and water views. The Legendary Tower presents eclectic designs with a nod to Eden Roc Miami Beach Resort’s iconic past. The Ocean Tower boasts an elegant experience with beds facing the balcony providing breathtaking sunrise views. The well-appointed deluxe rooms give you all the comforts you’ll need including iPod docking stations and luxury C.0. Bigelow bath products. Some rooms have balconies and all offer either views of either the ocean or Biscayne Bay. Their Oceanfront One-Bedroom King Suite offers 650 square feet of luxury. guests can enjoy personalized renewal treatments at the spa. Using ESPA products, the spa also offers hydrotherapy circuits including whirlpools, plunge pools, saunas and hydro-experience showers. The relaxation lounge has beautiful floor-to-ceiling windows with views of the blue ocean. Special spa packages and monthly specials elevate the spa experience at the hotel. 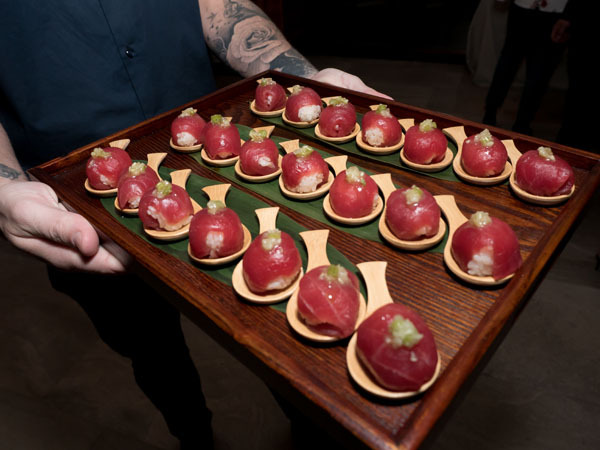 The many culinary experiences here including some of the best food, drinks and views of Miami Beach. Private-chef-turned-restaurateur Helene Henderson brings her laid-back Malibu eatery, “Malibu Farm,” to Eden Roc. The simplistic yet freshly inventive Malibu Farm overlooks the Miami Beach waterfront, mimicking the collection’s flagship restaurant on Malibu Pier. 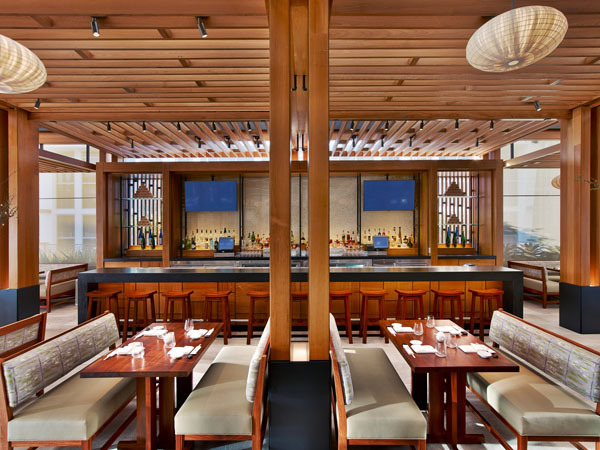 For breakfast, lunch or dinner head of to Nobu Miami and indulge in world-famous Japanese cuisine. There’s also a beachside bar, Aquatica to enjoy a cold beer or frozen potent potable. 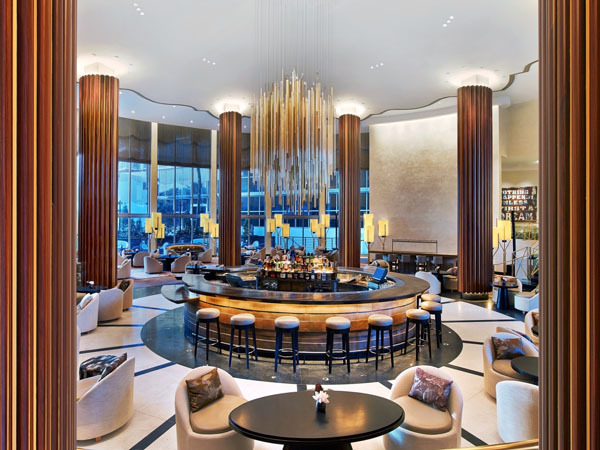 In the lobby bar, a DJ spins hot beats on Saturday evenings. 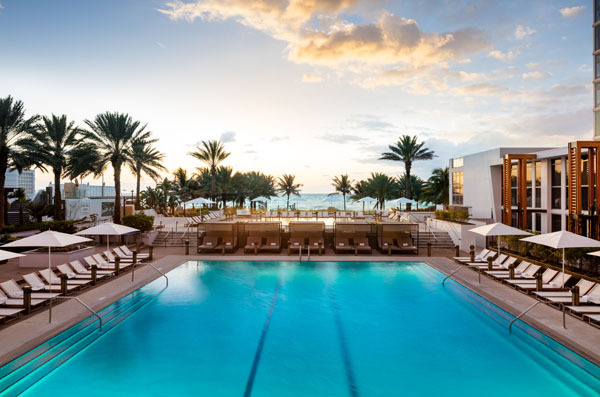 Eden Roc Miami Beach Resort offers the perfect weekend escape for anyone looking for a bit of fun in the sun. It’s easily accessible to the heart of South Beach via a quick taxi ride but just far enough north of the strip to offer the quiet and tranquility you need to unwind and unplug. 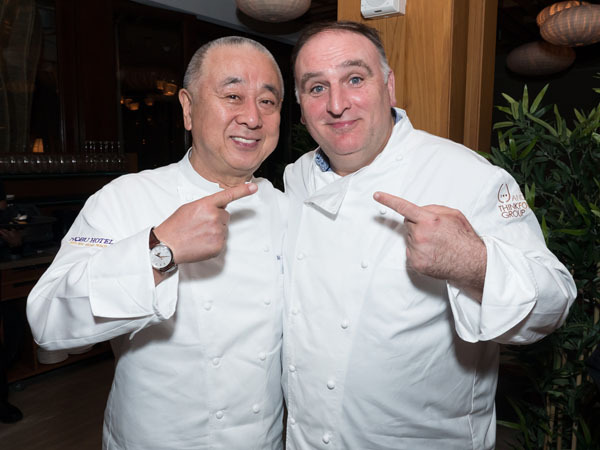 Resident Magazine also had the chance to chat with renowned chef and entrepreneur Nobu Matsuhisa about the Nobu Hotel at the Nobu Eden Roc and his new projects on the horizon. RM: How did you start the concept of the Nobu Hotel? NM: The hotel idea came from De Niro. We started with The Greenwich Hotel. We had a lot of offers to open a restaurant in hotels, so Bob suggested why don’t we open your own hotel. We built the teams who negotiated projects all over the world. So now we have Las Vegas, Miami, Manila and four of five more on the way. RM: How do you choose your hotel partners? NM: Well, the most important aspect for me is that they understand our philosophy. If we will open our own restaurants I want to make sure I oversee all the details and they have the passion and trust us. RM: The location that you choose and the cities? NM: I like big cities like London, LA, New York, and Miami. Hotels attract different generations, cultures, and seasonal visitors. So we can build all over the world, we have Montenegro, Bodrum, Cabo San Lucas, Toronto, Chicago and other destinations on the way. It’s a busy 2 years. We have 32 locations already. I like the hotspots. Finding the location and building the restaurant and interior is the easy part, the difficult task is getting the people to manage it. RM: Tell me more about the new Nobu in NYC? NM: After 22 years in the Tribeca location we were offered the space at 195 Broadway. It’s a historical landmarked space in the old AT&T building. Because it’s a landmark we can’t really touch it but David Rockwell designed it and it’s twice the space and we have a large bar lounge. The menu is upgraded but we still have our signature dishes. RM: Did you ever think your first name would be this well-known? NM: People who are only recognized by their first names are Cher, Madonna and Nobu! RM: What do you love most about Miami? NM: I used to live in South America in Peru. When I come here I feel the same culture here too- a lot of people are speaking Spanish and I love the beach. I love the change of weather between Miami and New York. NM: I can’t do everything at once, but we can go after them one by one.